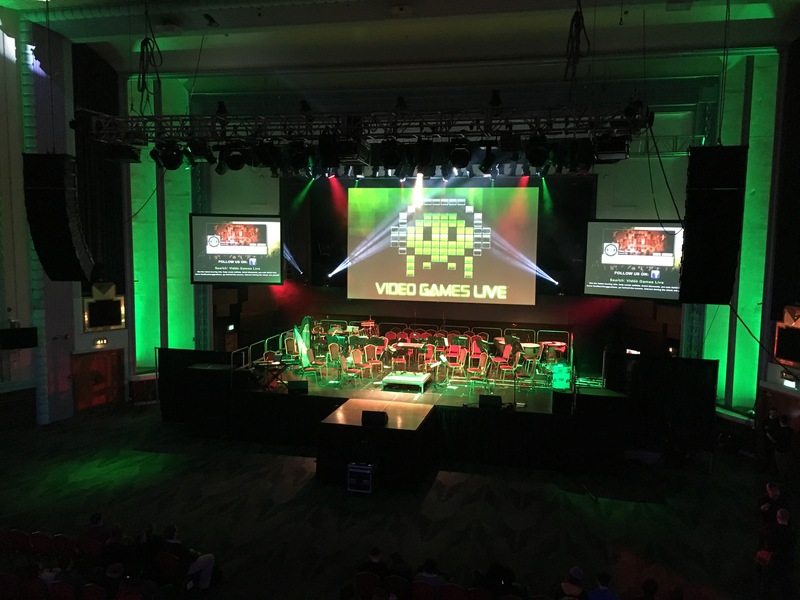 My friend Tim handily had a spare ticket to Video Games Live at The Troxy, London last Sunday. Excitedly, I took him up on the offer to go with him and we enjoyed a fantastic afternoon of Video Games music featuring the British Sinfonietta Orchestra, Laura Intravia (also known as ‘Flute Link’), hosted by Tommy Tallarico and Conducted by Eimear Noone (of Zelda Symphony and Warlords of Draenor fame). Halfway through the performance Eimear and Tommy said a few genuine words about the successes they’ve enjoyed and the trials they’ve faced with the show. They even invited everyone along for a meet and greet directly afterwards. For a busy travelling band of musicians on a World Tour…that’s quite a statement and generous time commitment. It got me thinking that these kind people might just spare some time for us! Soon after the gig (which I had to leave from straight away, due to personal commitments), I reached out to Tommy and Eimear via Twitter. Both of them replied and we set up some meetings, one via non-other than Eimear’s work and life partner: Craig Stuart Garfinkle! Due to the nature of Eimear and Tommy’s current touring status, it made sense to try and nab an interview with Craig too! However, halfway through my interview with Craig (see article coming soon on iDIG Music Festival), we had the most welcomed gatecrasher, ever! Just as Craig began to touch on the success of the 25th Anniversary Zelda tour, Eimear called him up on Skype! 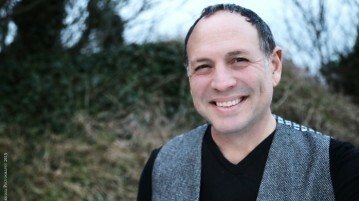 Craig Stuart Garfinkle: …Speaking of Eimear, hold on! Can I add her to the conversation? Phil Dinsdale: Yeah, you absolutely can, that would be great. CSG: I’m actually on with Phil Dinsdale from Creative Gaming right now. PD: Hi Eimear, how are you? EN: Oh…Hi Phil! I just woke up actually, on the tour bus! He he he! PD: I was actually at Video Games Live the other day at The Troxy in London…had a great time. 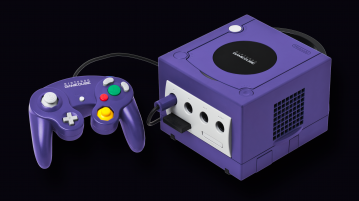 CSG: Yeah, he was actually at the original 25th Anniversary [Zelda] show at the Hammersmith Apollo. EN: Oh wow, that’s a good memory. PD: Yeah it was a great time. EN: Myself and Tommy and the crew….and Laura…we just all just arrived in Stuttgart. About half an hour ago, we all ‘fell off’ the tour bus…and we had an amazing full house at the Vienna Concert house last night. It was so much fun, because I was expecting the stage manager to be a little bit snobbish about video games music…and he couldn’t do more for us! Turns out: he’s a big gamer! PD: Wow, that must have been a wonderful moment. I’ve seen pictures [of the Vienna Concert House]and it must be quite the sought-after and prestigious venue to play at. It looks wonderful. EN: I swore I would never go to Vienna as a tourist…and I always told this to Tommy. I said: “I’m not going as a tourist, I cannot be in the City of music as an outsider.” Tommy for the last year and a half was saying: “we’re going to book Vienna…we have to go to Vienna together”…so last night was a really emotional moment on stage for myself and Tommy. It was definitely special. EN: It was cool because everyone in the house totally got what we were doing. It was very special for me to perform one of my own pieces…very emotional…Oh My God, I’ve never teared-up on stage before, but last night definitely did. EN: The one thing I wanna say is that, last night for me, I said it to everyone on stage…all the things I was told I couldn’t do or I couldn’t be because of video games…I actually absolutely could conduct and compose at the Vienna Concert House. All the things I was told as a kid, that I had no chance of doing…that’s one thing about video game history that’s incredibly important; it’s that, no matter how alone you feel in your dream, you can do it…and last night for me was the absolute pinnacle of showing the naysayers that they were wrong! EN: Oh, well Tommy’s the ultimate embodiment of that. People look at Tommy and think “a h, of course, you’re different from me…” No. Tommy’s had doors slammed in his face a thousand time, he just doesn’t accept it. You Know? CSG: Ha ha ha ha, he doesn’t pay attention. PD: And that’s a wonderful message to get out there. It’s that Us as gamers…and I say “Us”. A lot of us did grow up in our own dreams and fantasies, playing games and wanting to be the hero; wondering “where does this go, is this a career path for me, is this something I can do” whether you wanted to be a designer, a composer or an artist. It’s interesting you talk about doors slammed in your face. I’ve had plenty, I’ve been to some of the big names and it’s been a ‘No’ many times. I worked in games for a very short period of time and I’m only just getting back to it as a writer because I do want to spread the message of encouragement. That’s why we write, mainly about indie games…because we want to encourage people to get their art out there and know that the market isn’t too flooded and they can do it. EN: The ultimate example of that is Terran Gregory, one of the directors from Blizzard. I’ve been working with Terran for years and just loving him as a person and as a creative. But it was only at Blizzcon two years ago that I saw the Blizzard documentary and they tell Terran’s story where he’s The Uber Blizzard fan, who entered a contest at Blizzcon where, I think he re-edited some cinematic footage…to tell a different story, won the contest…and the guys at Blizzard, Chris Metzen and the gang, were so impressed by him that they hired him as a producer, then a director. He’s so so so passionate because he comes from being the dreamer, the fan…inspired by video game art to create [his]own thing…and look at where it took him, he’s one of the biggest directors now. EN: OK…I think I’m going to take a nap! I just got off a tour bus with the whole crew and we’re all exhausted. We all stayed up partying last night after the show. CSG: Ha ha ha, yeah on the bus…I’m supposed to feel sorry for ya! EN: …but Troxy was really fun the other night. It’s like this amazing Art Deco [building]. It’s cool for us because we see the nice manicured areas all the time and The Troxy was kinda ‘badass’. PD: Yeah, where it is is a nice, ‘gritty’ part of London. EN: By the way, please put this on the record. The ‘British Sinfonietta’ – they rocked out, they were headbanging with Tommy, they were just great sports. They just got it, they were cool. Really cool! CSG: Ah, that sounds cool! PD: They were really into it, we had a great time! EN: Well I’m glad..and…I’m going to take a nap now. Phil, I’ll talk to you soon, thank you so much, for writing this up for us…and keep doing what you’re doing! PD: No, thank you for your time…we’ll catch up [soon]. Keen to talk more about the Zelda concerts and what’s next for Eimear in terms of video game scores, I’m going to reach out again soon….maybe when she has caught up on a little sleep! Watch this space for Part 2!